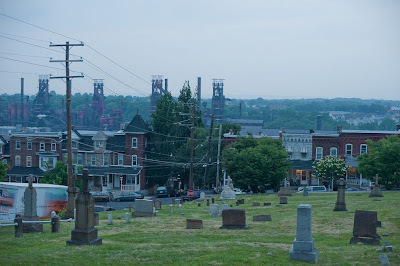 Bethlehem, PA. is a city that I have long been fascinated by, so last week Seth & I decided to take a ride down there and poke around. 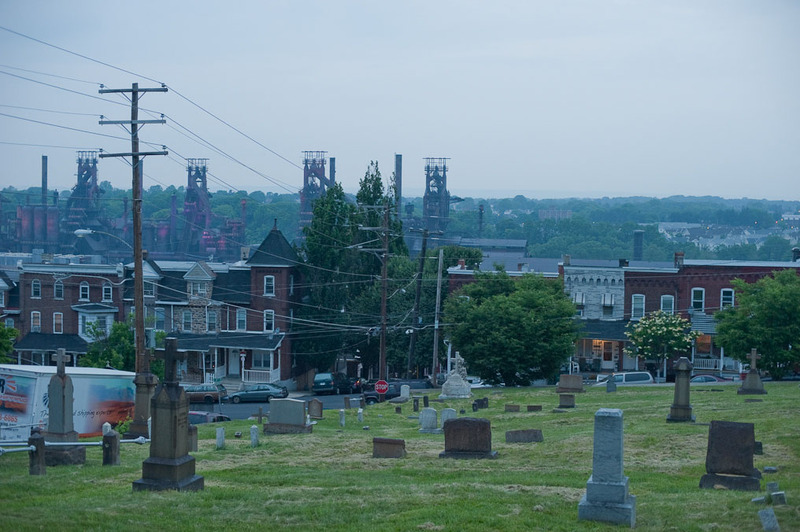 We were looking for good vantage points to photograph Bethlehem Steel Works, which is a most marvelous piece of rusted industrial might. 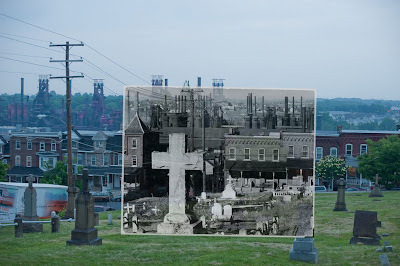 Seth came across the famous Evans photograph, so we decided to find the cemetery pictured in the photograph. 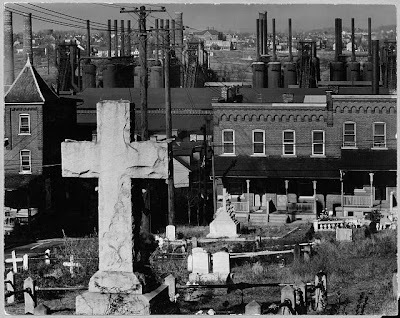 The cemetery was fairly easy to find, then we decided to find the spot where Walker Evans made his iconic depression era photograph. What our investigation revealed was that Walker shot with a fairly long lens. The tombstone of the cross in the foreground is literally gone, as well as the rail fence, and the chimneys have been reworked. 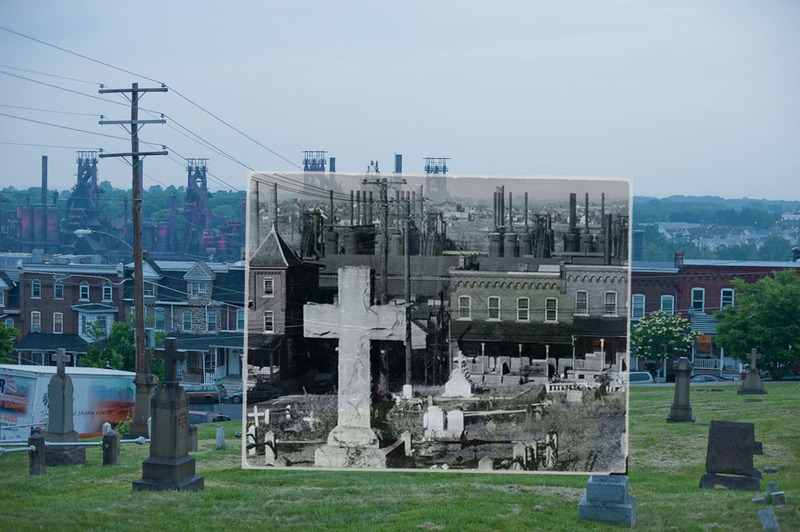 But it many ways the scene is fairly intact 75 years later.